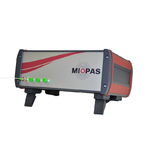 MIOPAS is an innovative german company for optical metrology. 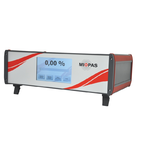 In two product lines optical gasanalyzer for the photoacoustic gas detection and Interrogating system for the detection of strain, temperature and vibration with Fiber Bragg Grating (FBG) technology are developed and manufactured. Next to products and oem-solutions also turn-key solution for gas detection and FBG technology are offered and will be individually customized. Optical gasanalyzer based on laserbased photoacoustic gas spectroscopy. With our patent pending technology, we offer a full range sensor with a low detetcion limit for different gases, e.g. CO2, CO, NH3, CH4, H2S, NO2, NO etc. Customers and Partners who are looking for innovative sensing technology in research, chemical and industrial applications that requires high precision measurements. For surveillance and monitoring applications, for example life time monitoring, the application fields of our fiber optic Fiber Bragg Graing (FBG) technology are for maintenance and for reliability engineering. We offer customized interogators and sensors with the latest FBG technology. The femtosecond laser written FBGs allow new customized applications. FBG Sensors can be provided in standard telecom fibers with all their advantages without decoating the fiber. Standard FBG-Systems for strain, temperature and vibration monitoring as well as 3D Shape Sensing and Navigation in medical and oil/gas industry are our field of application.